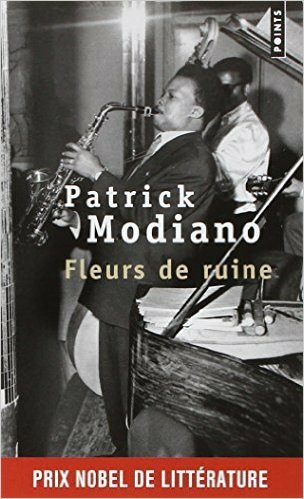 I picked up my first novel by Patrick Modiano in a bookstore in Strasbourg last fall. He had just won the Nobel Prize and it was obvious that the bookstore had scrambled to find copies of his books: there were new paperbacks with moody photographs on the covers and red paper straps that read “Prix Nobel de Littérature,” but there were also the old buff-colored Gallimard editions from the 1980s and 90s. I chose two, mainly for their titles, since I knew nothing about the author: Fleurs de ruine (1991) and Rue des boutiques obscures (1978). Like their titles, the novels are written in a style I can only call “existential noir.” Dark and atmospheric, they remind me of the plain declarative style of Simenon but also the films of Jean-Pierre Melville like Bob le flambeur (1956), although they are not as plot-driven. I was not surprised to learn that Modiano co-wrote the screenplay for that devastating laconic masterpiece Lacombe Lucien (1974) with Louis Malle. Some of the novels have now been translated into English, but so far I’ve read them in French. This summer I bought another Modiano, Dora Bruder (1997), which some have referred to as non-fiction but which is generally billed as a novel. Like Modiano’s other works, it is a mixture of history, autobiography, and fiction, all of it so intermingled that it is difficult to pull out what is “real” and what is fictional. In all of the novels I have read, there is a male narrator who appears to be about Modiano’s age (he was born in 1945). The setting is Paris, and even though I feel I know Paris pretty well, I find it helpful to read with my old maroon-covered Plan de Paris par Arrondissement to figure out where I am. I did this with Eric Hazan’s passionate history The Invention of Paris too. And anyway I like maps. My Plan de Paris, purchased in the 1990s, is now out of date, a reminder that cities are constantly changing. Modiano is above all a historian of Paris, and his novels obsessively return to particular places – the 18th arrondissement in Dora Bruder, the Cité Universitaire in Fleurs du ruine – and note what building has been torn down, what café used to be on that corner, what restaurant he once ate in. 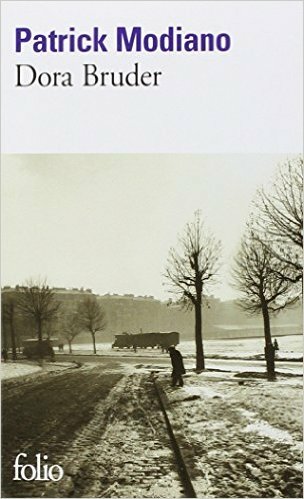 He walks the streets to retrace his own past and that of his characters, exploring memory and forgetting, particularly the memory of World War II, which took place before his birth but which haunts his work. 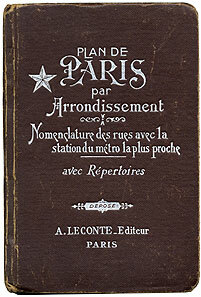 In Dora Bruder he wrote, “Il faut longtemps pour que resurgisse à la lumière ce qui a été effacé”: “it takes a long time for that which has been erased to reappear to the light.” But it does reappear: “it takes a little patience.” In all of these novels he pursues the work of the pre-internet historian (in more recent works he apparently does use the internet), tracking down obscure registers, newspaper clippings, human memories. The protagonist in Rue des boutiques obscures has lost his own memory and spends the novel trying to find out who he is, and was. Providentially, he works for a private detective, and mines the office collections of old city directories. In a very Modiano move, there are lists of addresses and particularly of old phone numbers with their weirdly evocative three-letter prefixes. Many of his novels begin with an old story in a newspaper. Fleurs de ruine begins with a story about a murder in the Latin quarter in the 1930s. Dora Bruder begins with a newspaper notice from December 1941 about a runaway girl, aged 15. The girl, we soon learn, was Jewish, and we are not entirely surprised to learn, about halfway through the book, that she and her father ended up about six months later in Auschwitz. But the point of the story is Modiano’s research into Dora’s life and how it intersects with the broader history of France in the 1940s (and the hidden history of collaboration) and how it intersects with his own history and his troubled relationship with his Jewish father. Like Dora’s father, Modiano’s was swept up in one of the regular rafles or round-ups of Jews but he managed to escape. Ernest Bruder was not as fortunate. 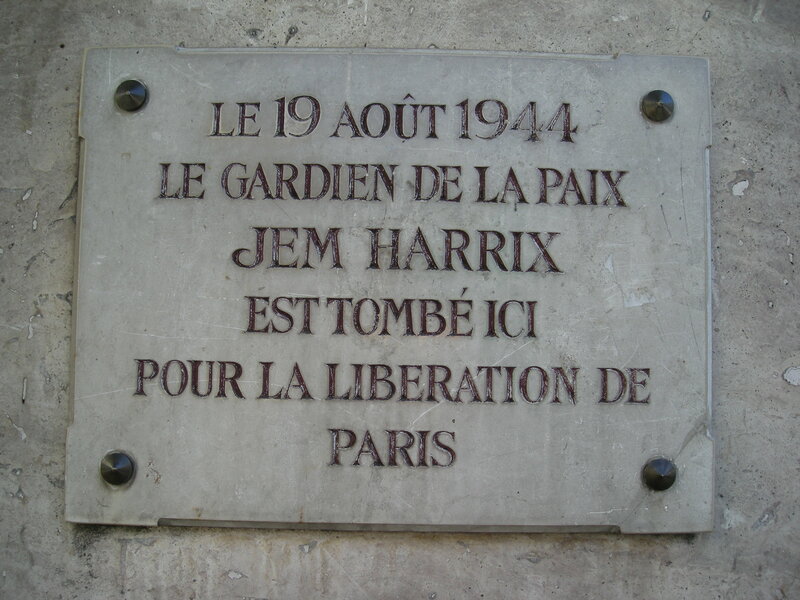 Paris has long recognized its defenders during the liberation in August 1944: plaques all over the city mark those who died. It has been slower to acknowledge the occupation. But in the early 2000s, plaques began to appear on schools in neighborhoods that had large Jewish populations, including the 10th and the 18th, where Dora – who was a real person – lived. Historical erasure, one can hope, is never complete. It just takes patience to undo. 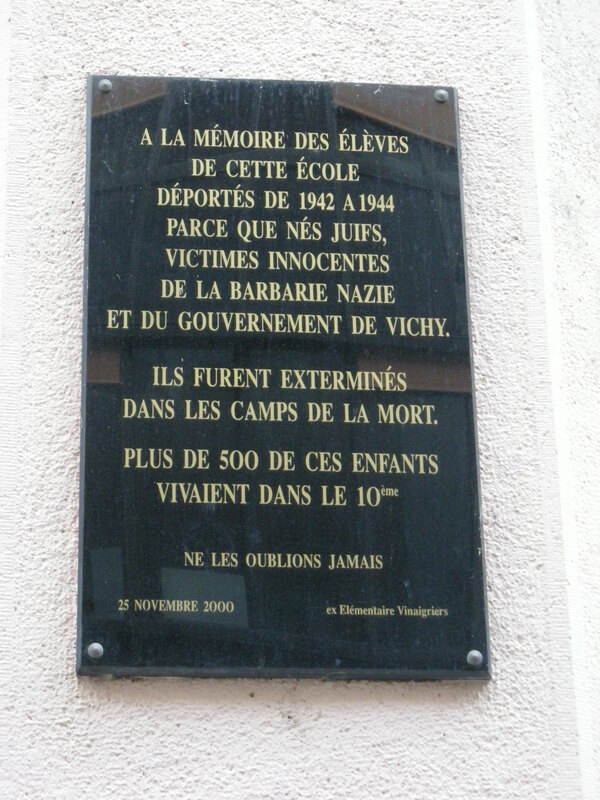 When I took the RER train out to Charles de Gaulle airport on this trip, I thought of Dora Bruder as the train passed through the drab northern suburb of Drancy, where thousands of Jews were detained on their way to concentration camps.